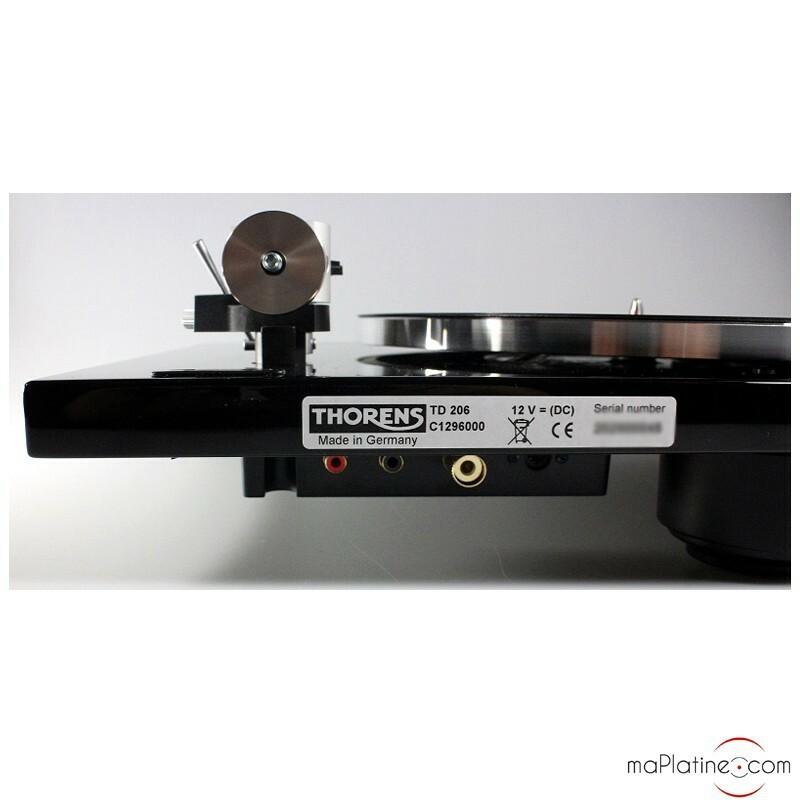 The latest addition to this Swiss manufacturer's range undeniably builds on the flagship Thorens TD 309 vinyl turntable. 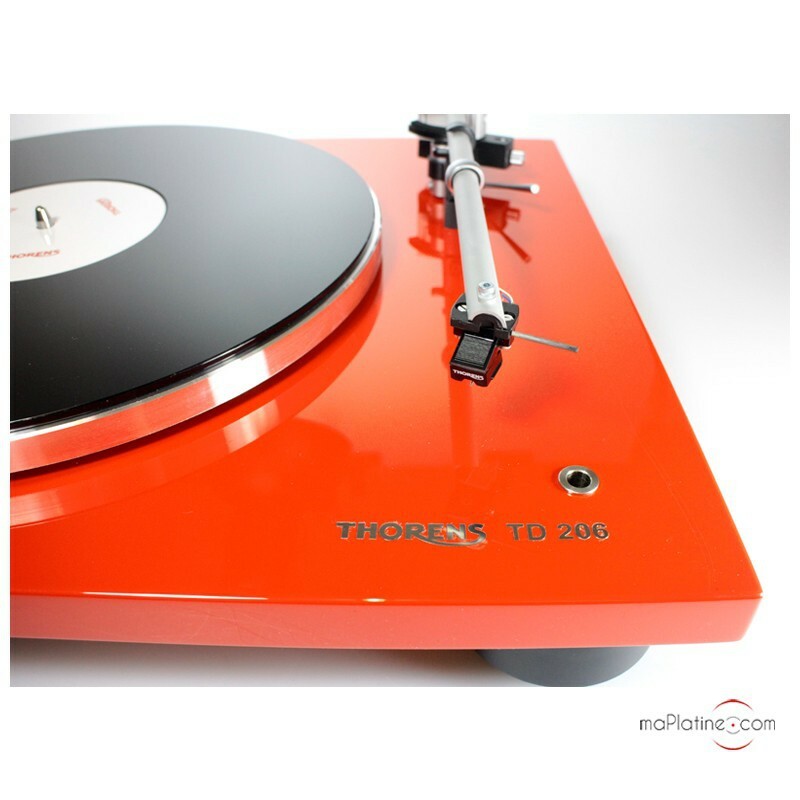 While it shares many elements with the TD 309, it also features several new innovations. 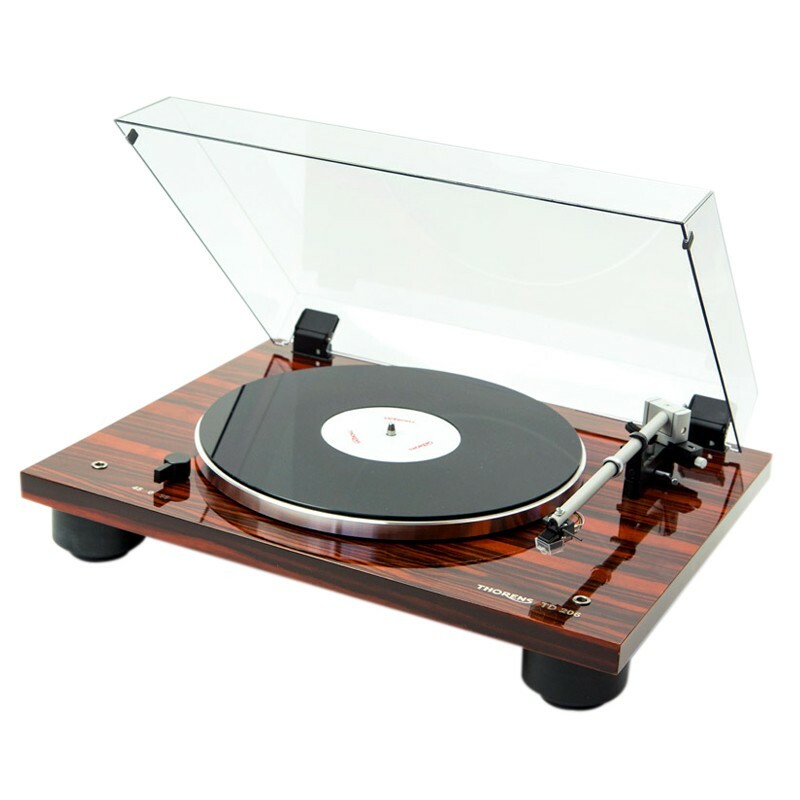 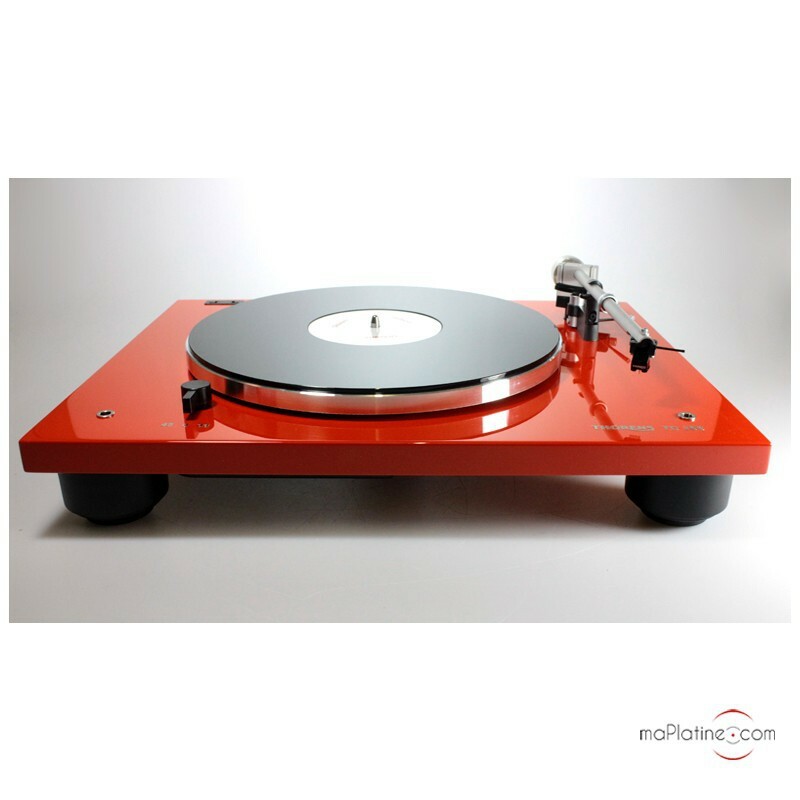 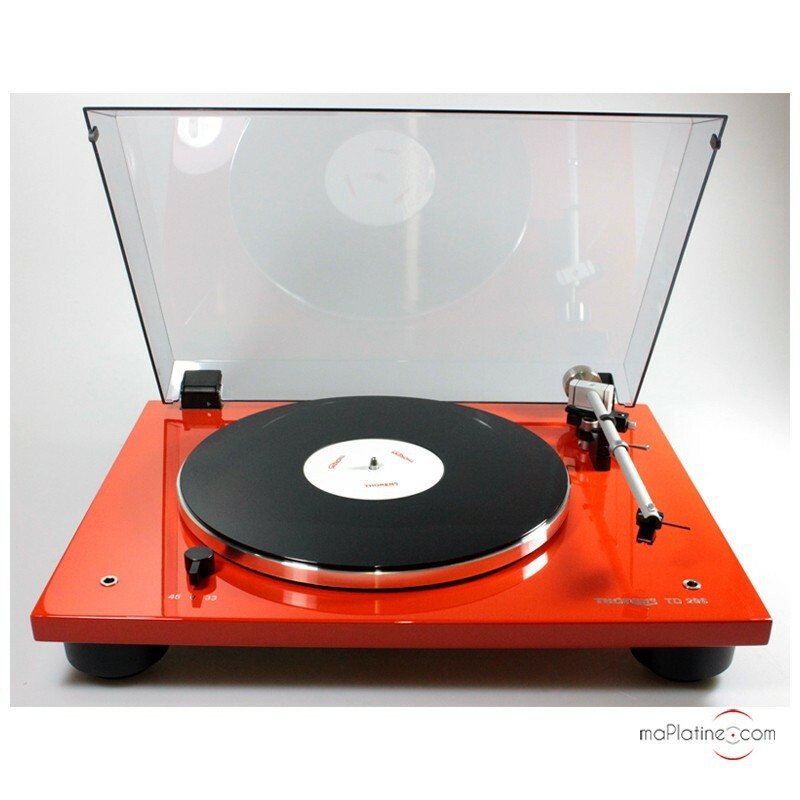 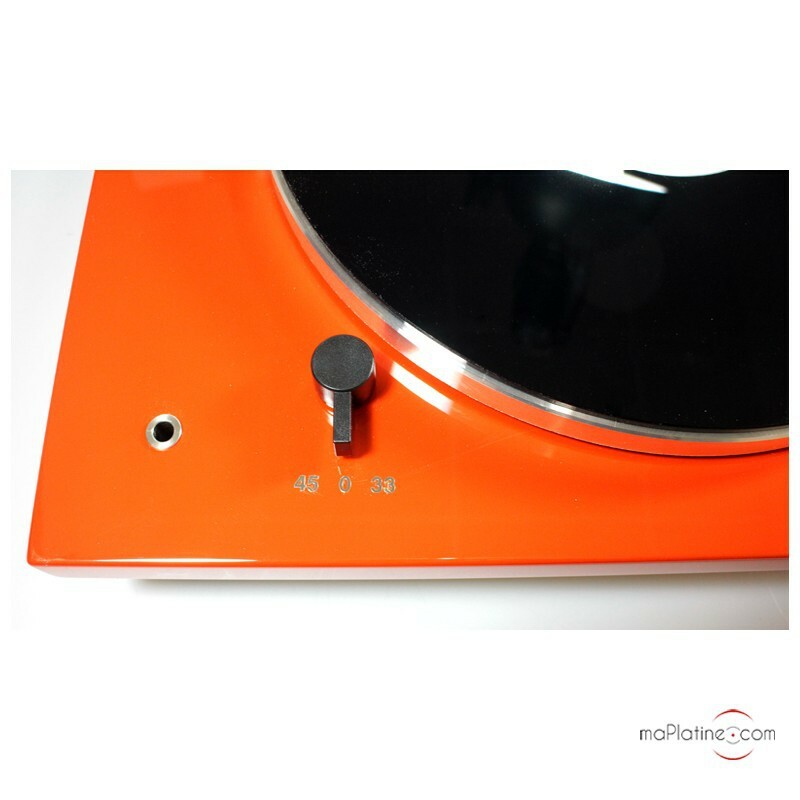 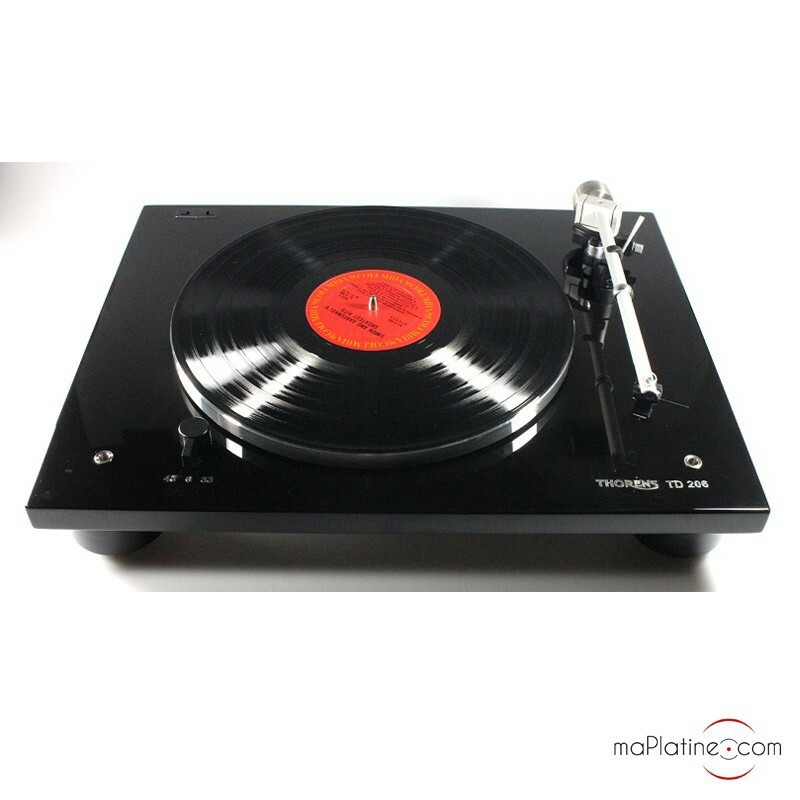 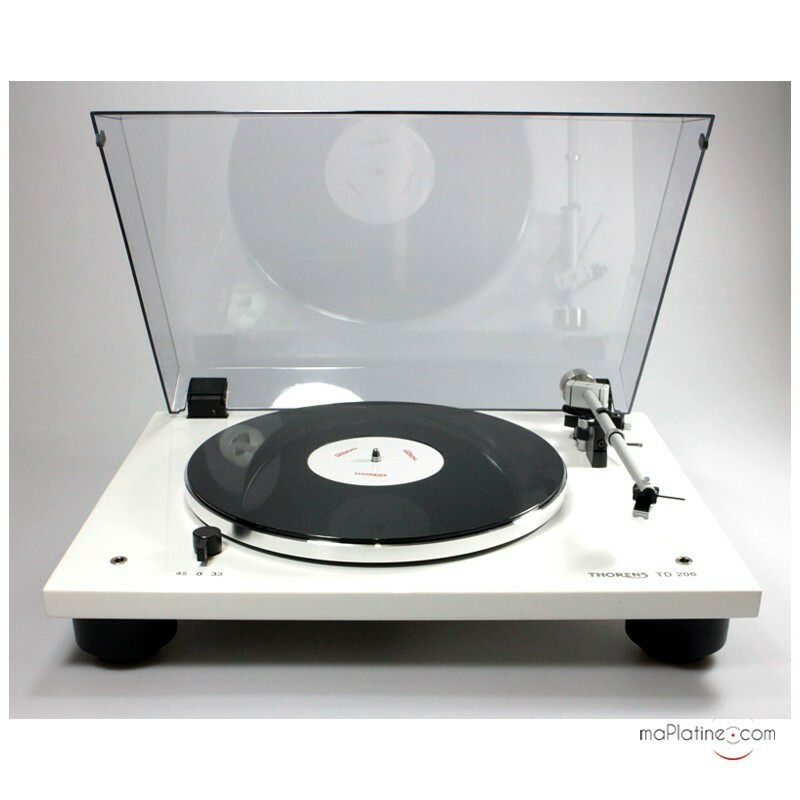 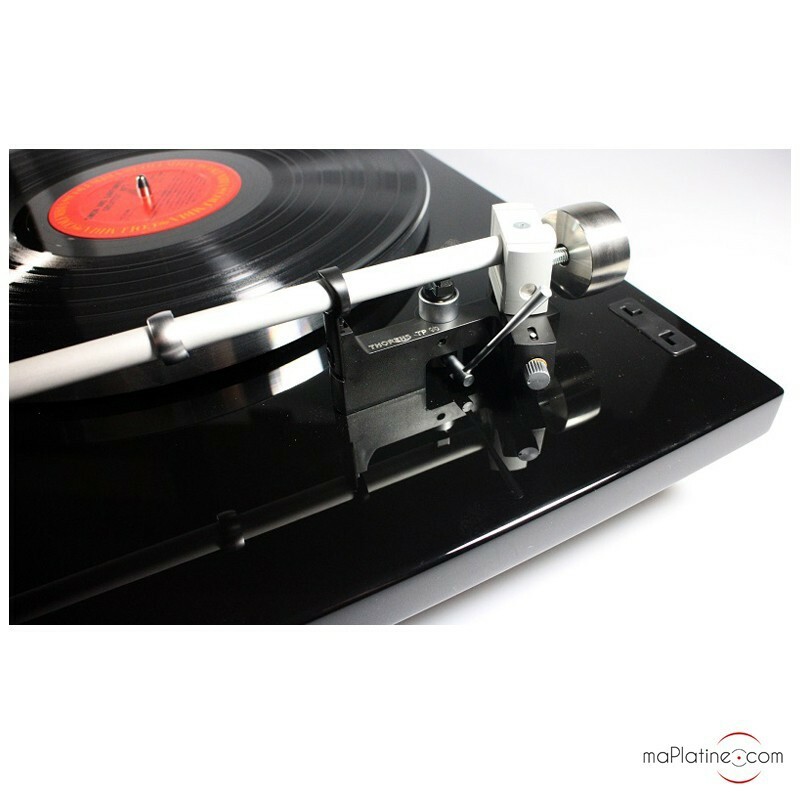 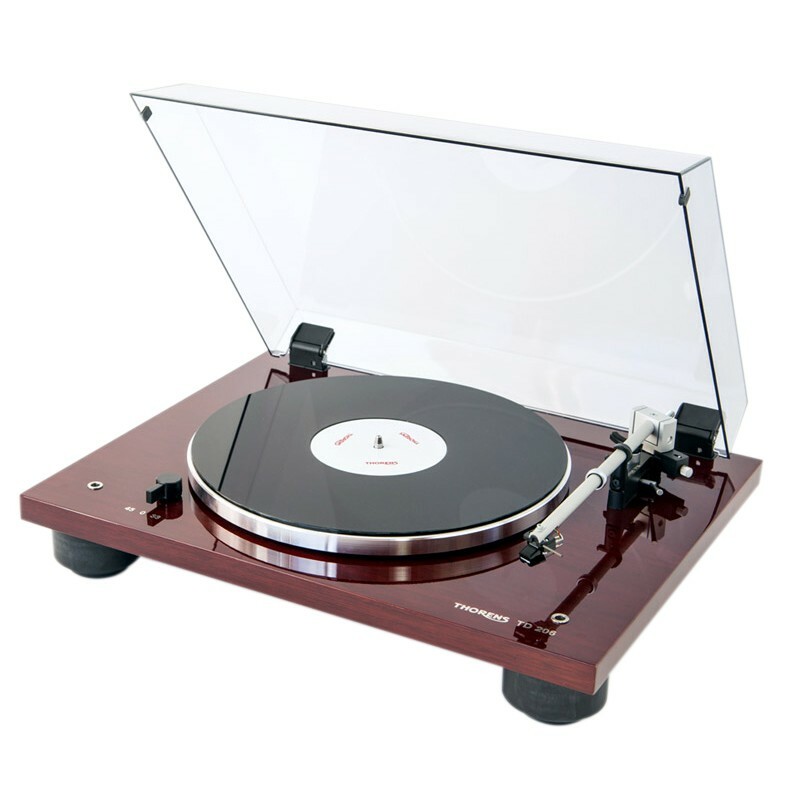 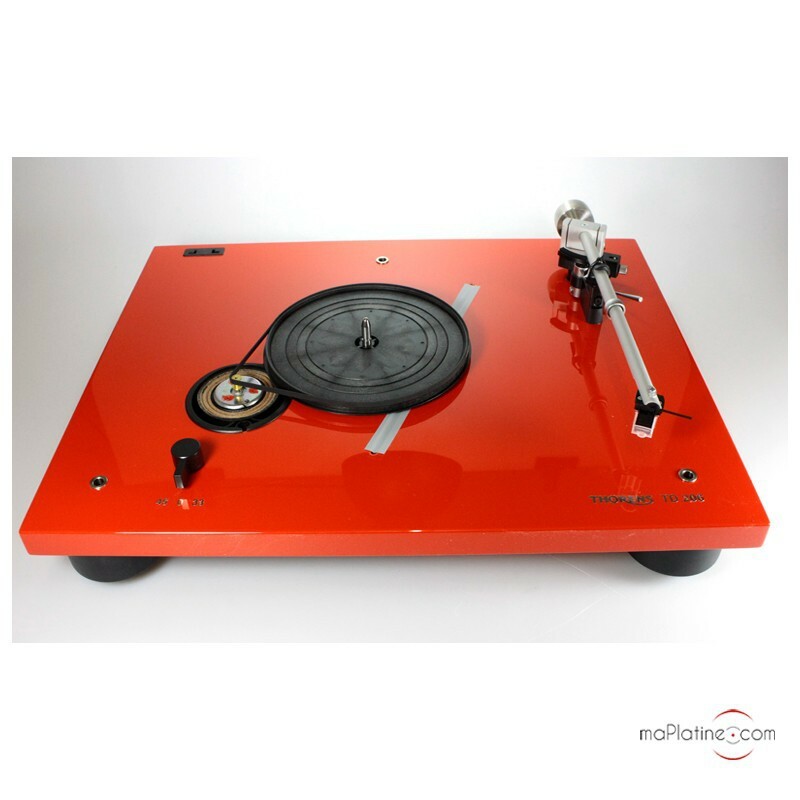 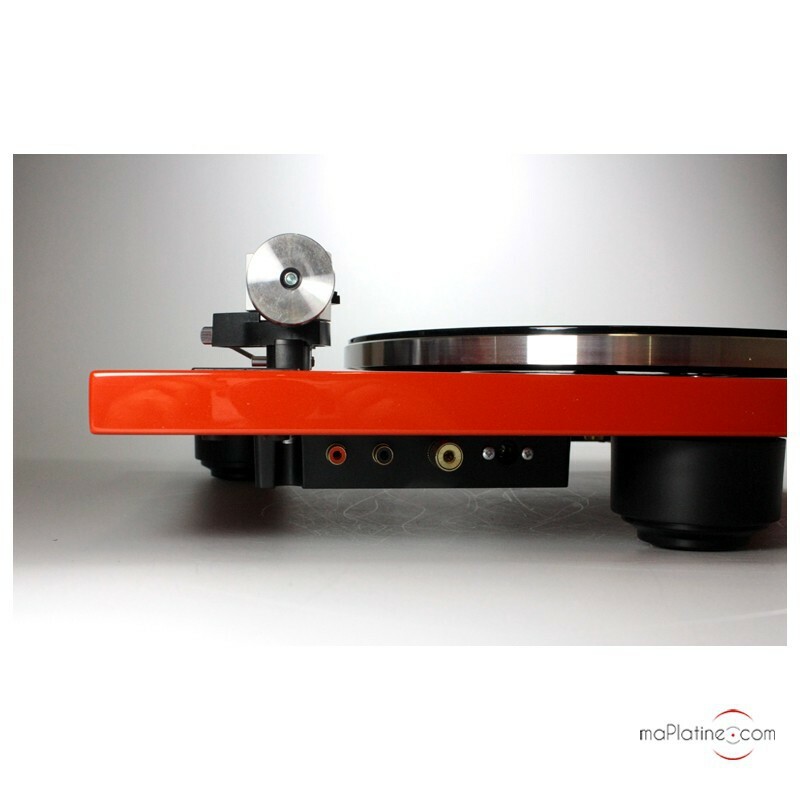 The vinyl turntable is made of medium and is coated with a striking black, red or white gloss, depending on your chosen model. 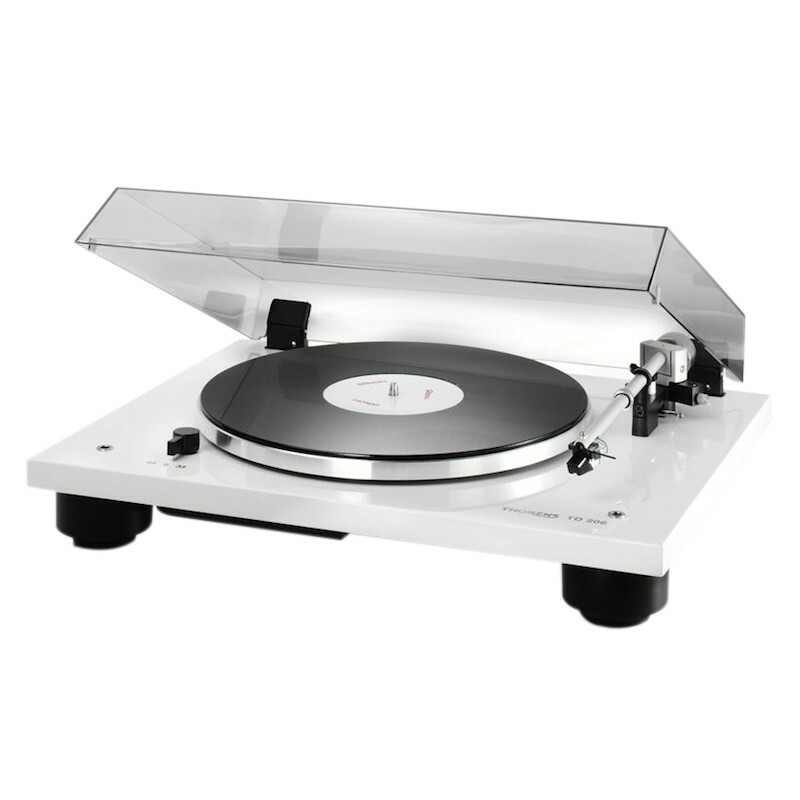 Unlike the TD 309, it has a conventional rectangular shape. The platter is made of an aluminium and acrylic sandwich construction, which keeps it light and wards off all resonance. 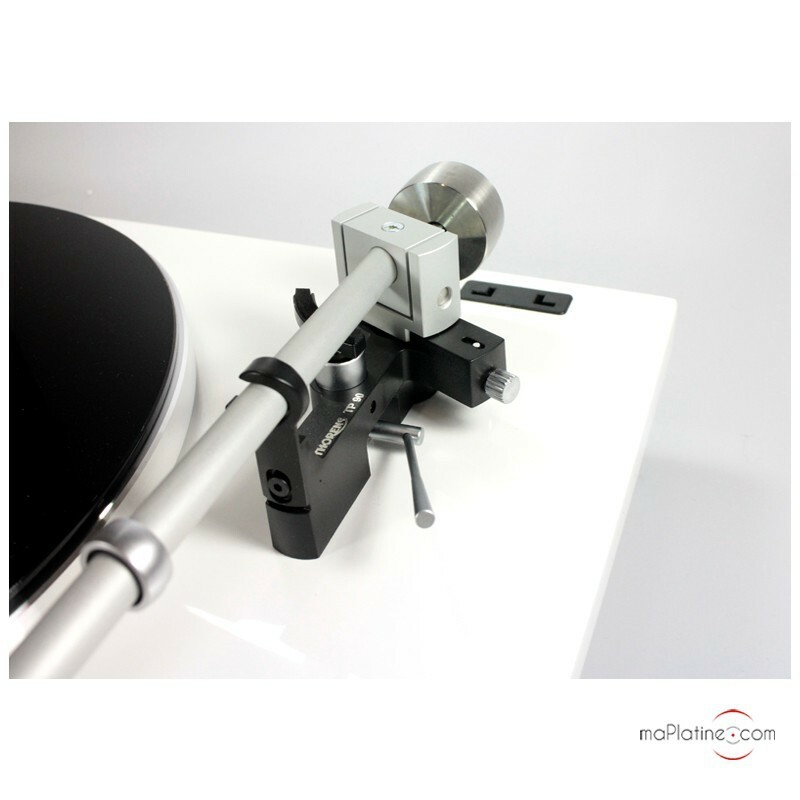 The 9-inch tonearm is the new aluminium TP90, which is modelled on the TP92, with the two models sharing the same aesthetic and mechanical elements such as the tube, bearings and magnetic anti-skate system. 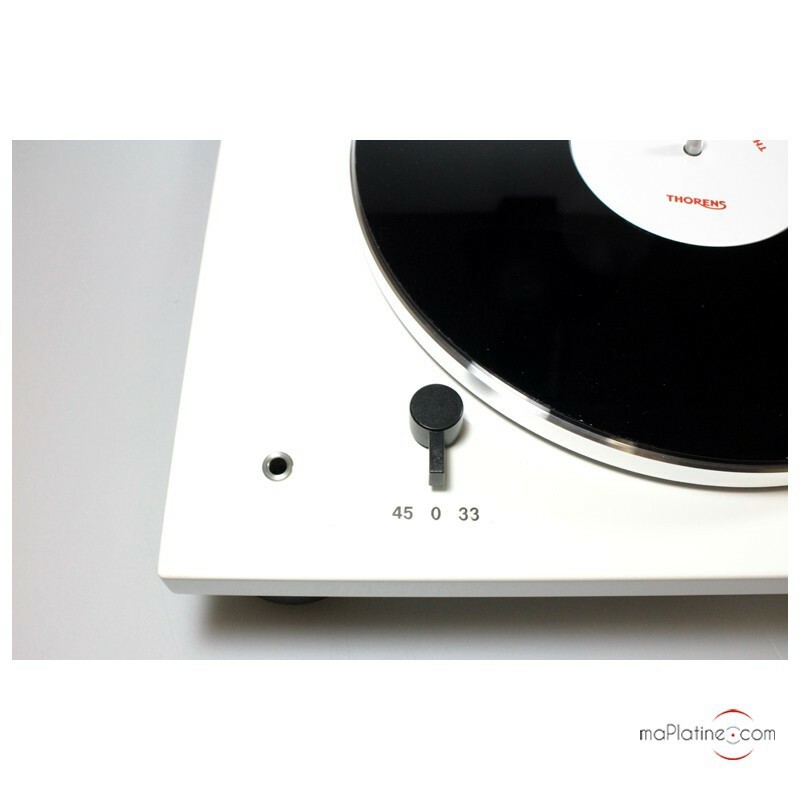 The motor is controlled by a DC servo, which enables the user to change between playback speeds (33⅓ and 45 RPM) electronically. 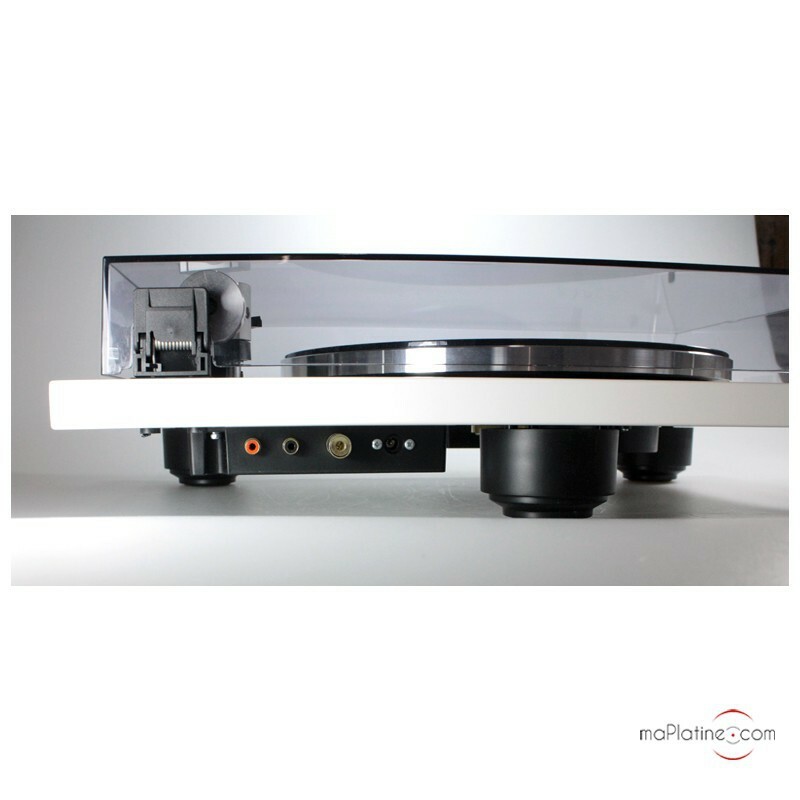 The feet are unique, using an ingenious damping system based around two vibration isolation bushings. 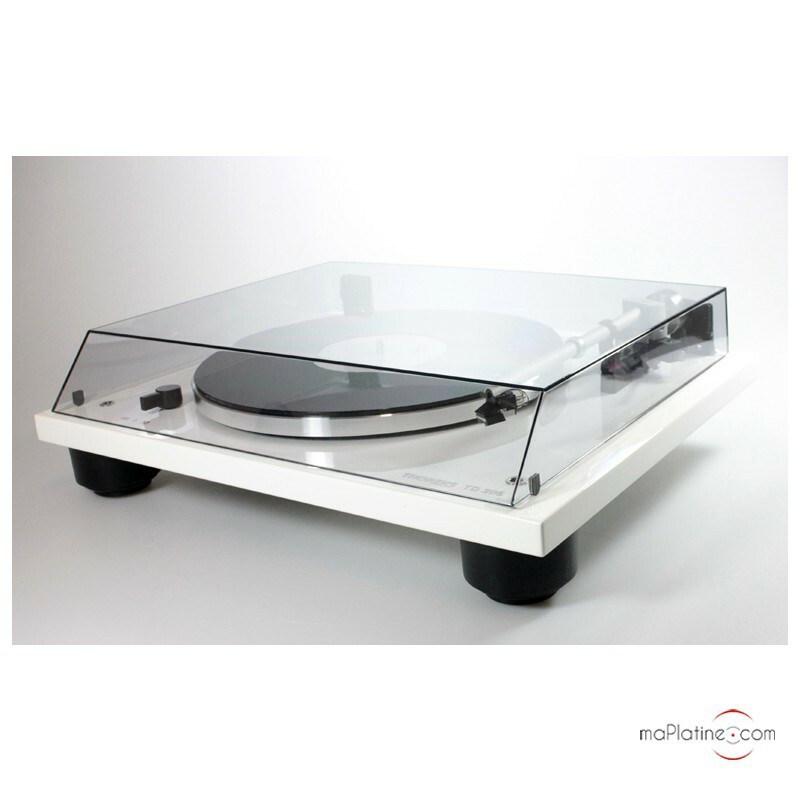 These feet ensure that the turntable is protected from all types of vibrations and mechanical interference. 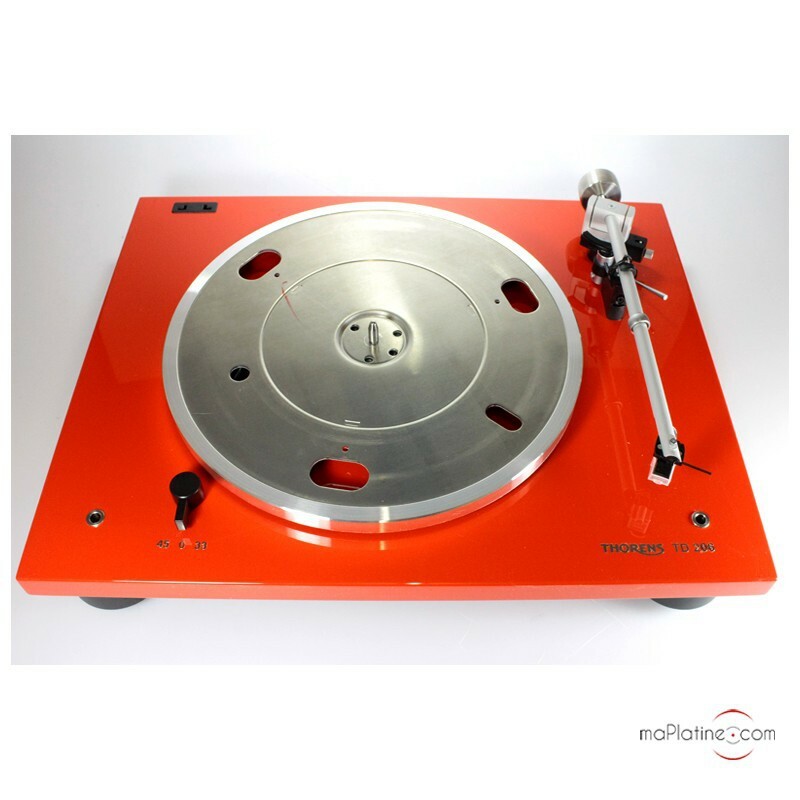 As one of the largest vinyl turntables in its range, its size is certainly imposing. 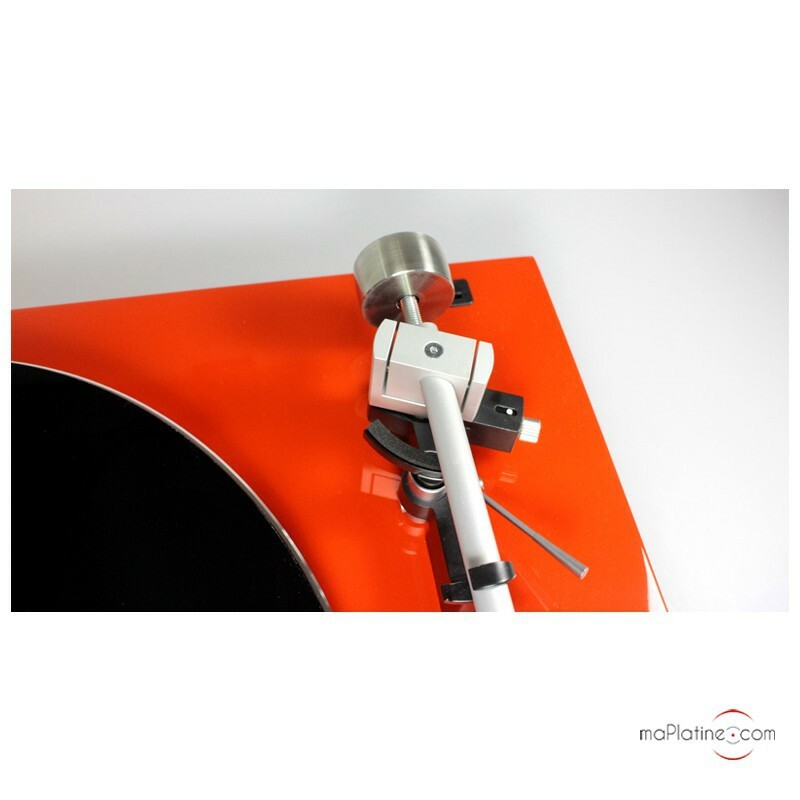 But with a 9-inch tonearm, it has to be! 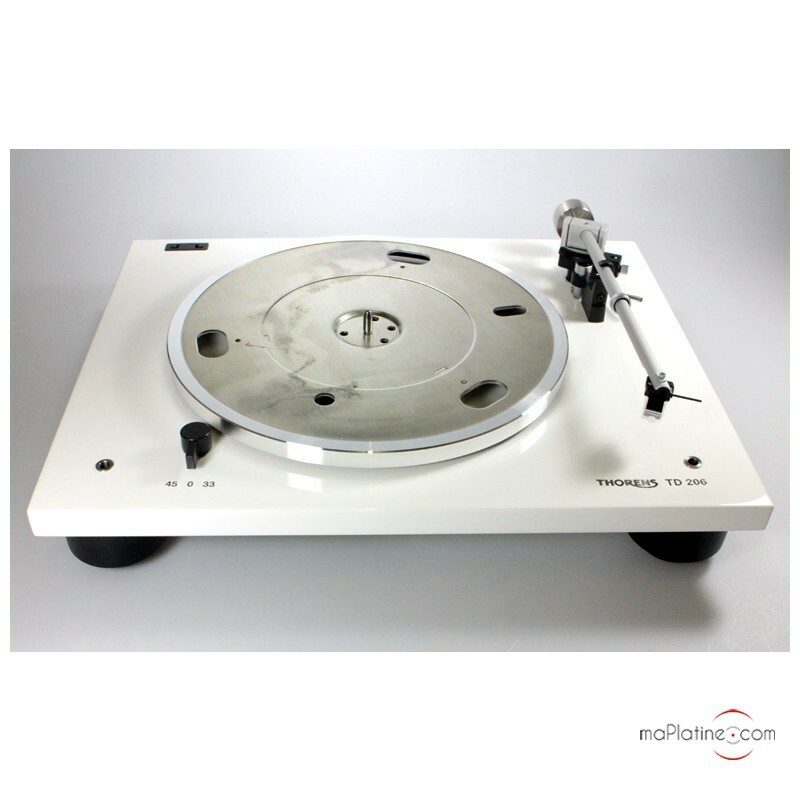 Many users will also appreciate the dust cover, which is an element lacking from its big sister models, the TD 209 and TD 309. 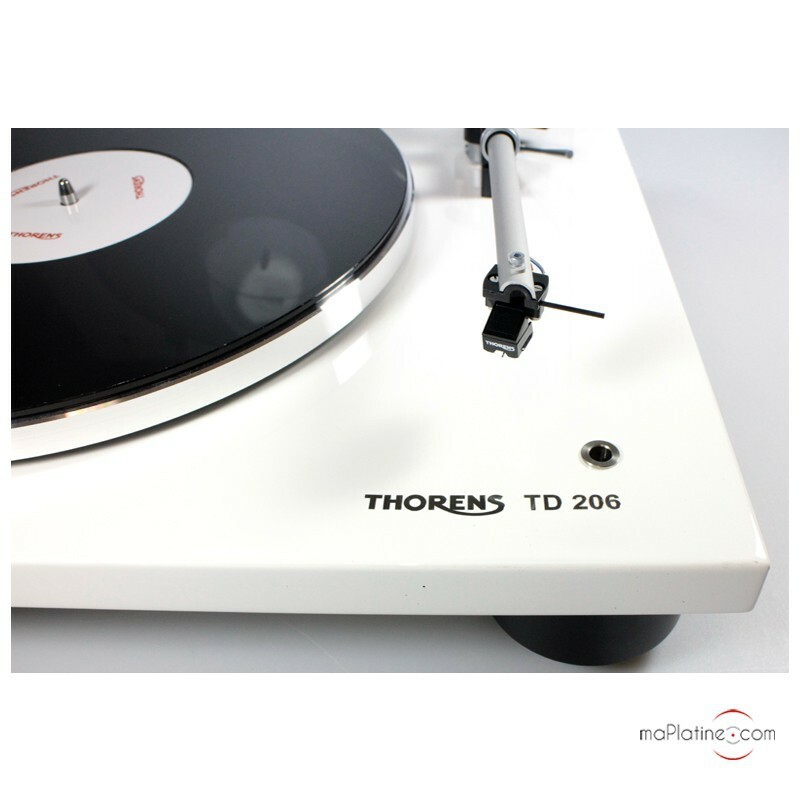 From the opening bars, you can recognise the signature musicality of Thorens vinyl turntables, and especially of the TD 309. 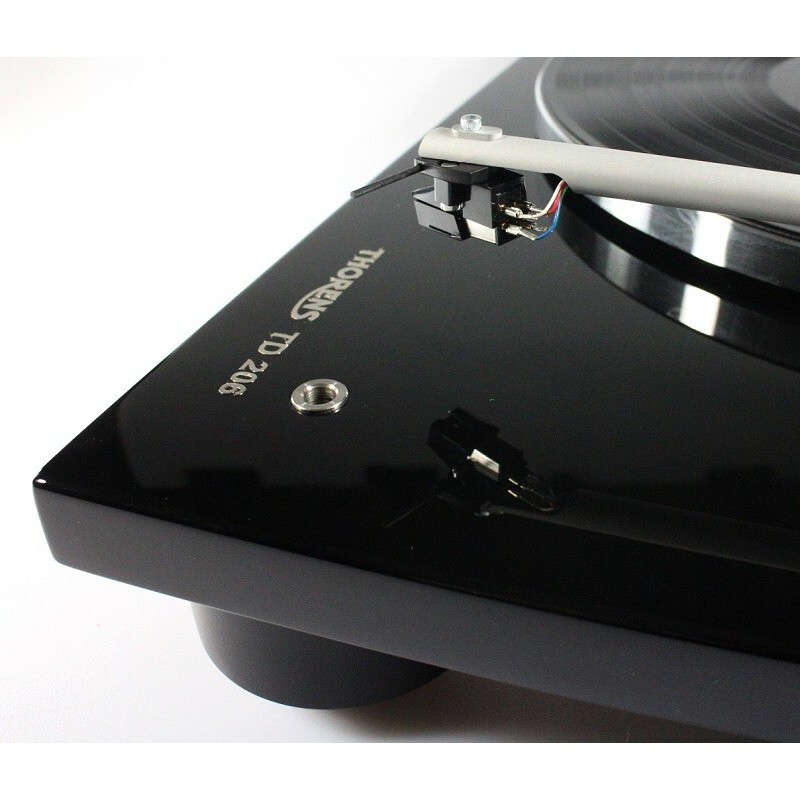 The sound quality is indeed very similar, except for slightly inferior dynamic range and transparency. 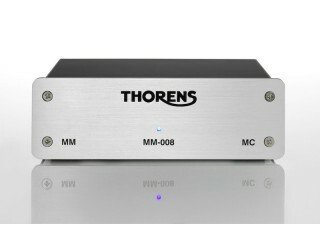 The timbre is precise and rich, without any harshness. 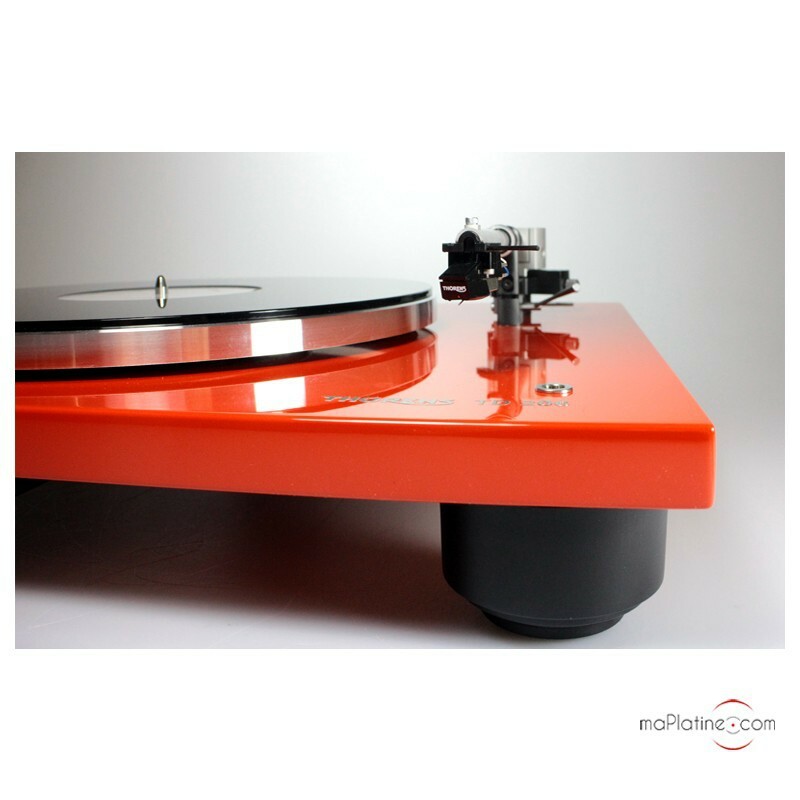 The sound stage is a lot wider and deep and is quite precise if you enjoy classical music. 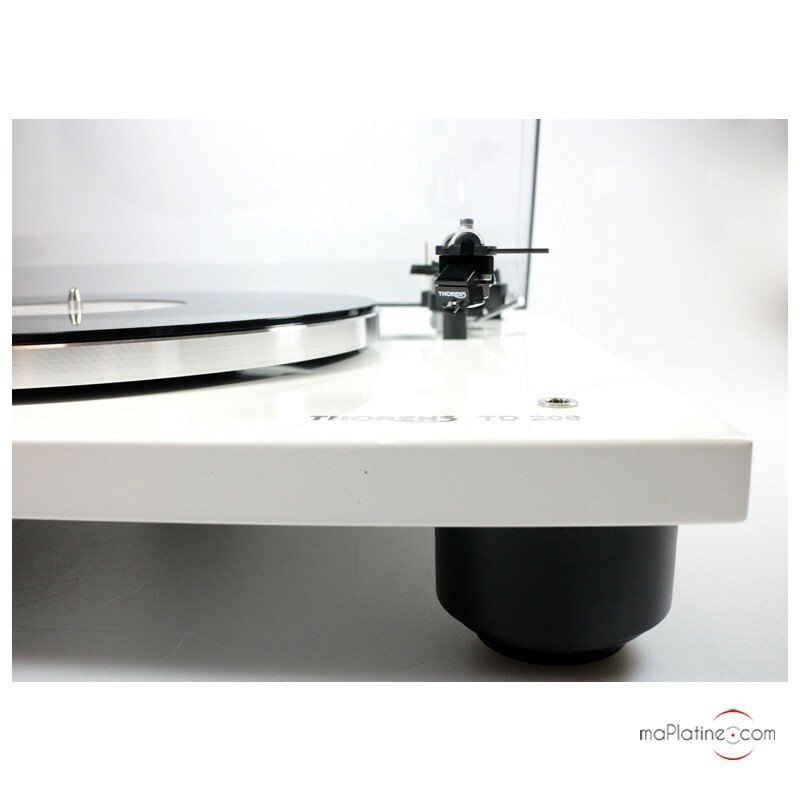 But its overall balance makes it very versatile and it works wonders with a string quartet, jazz trio or a power pop band! 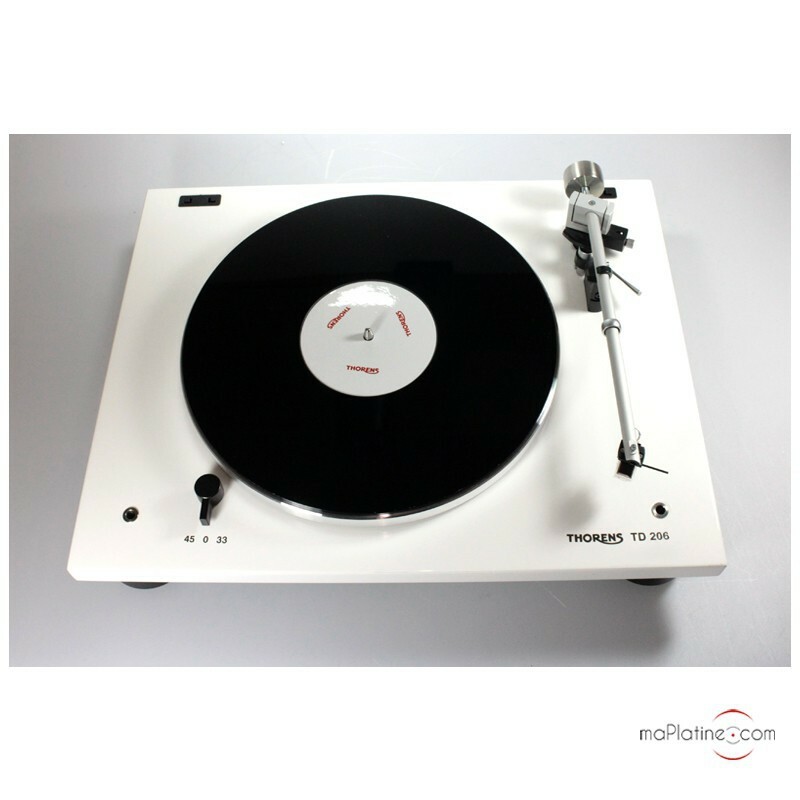 This TD 206 is flawless on many accounts: musicality, design, build (made in Germany! 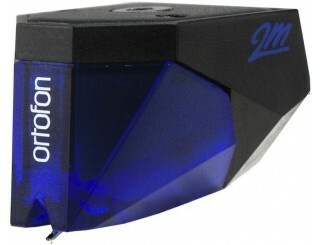 ), and user-friendliness. 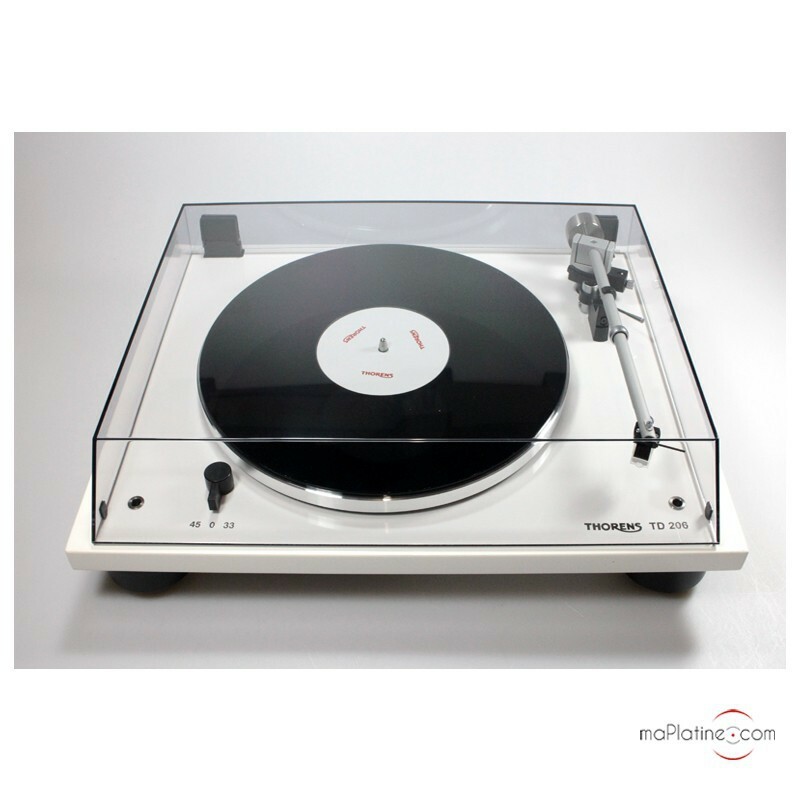 We highly recommend it! 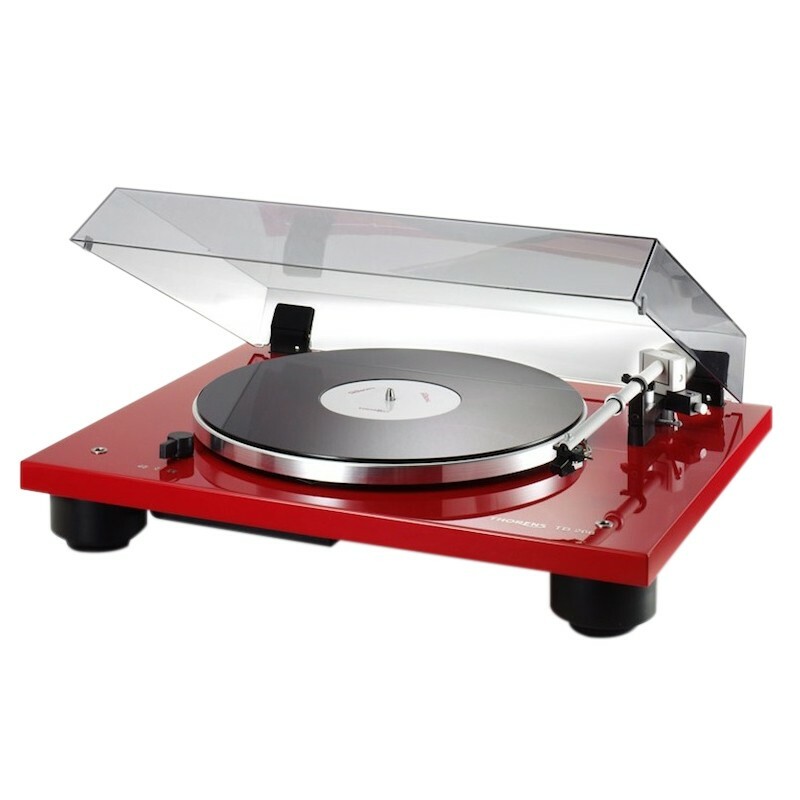 Rien à redire, excellente platine au design très agréable en plus. 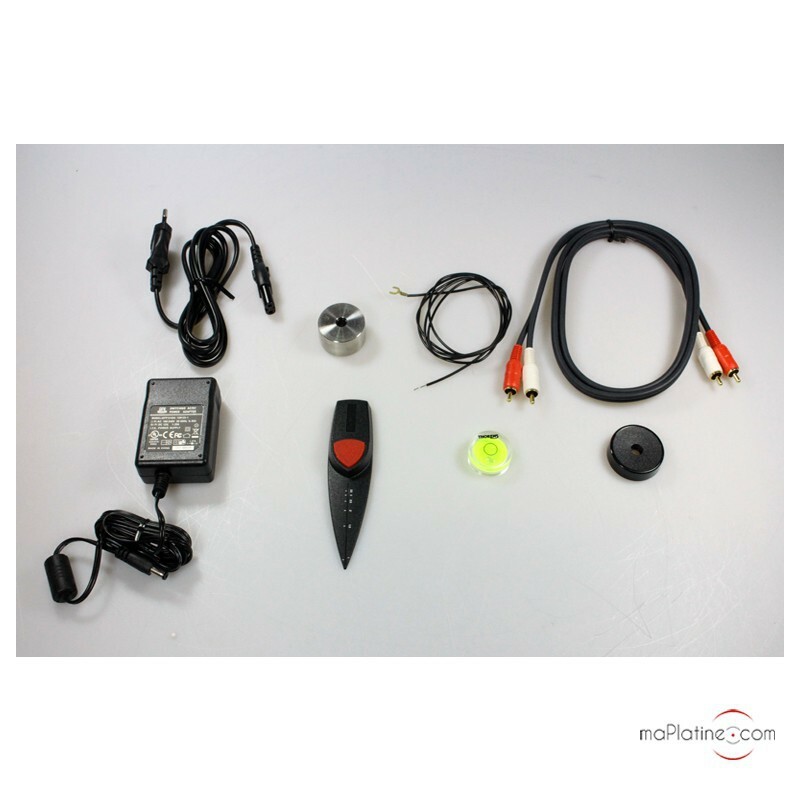 Merci à toute l'équipe du site pour les conseils tout au long de la prospection avant l'achat, la disponibilité et le professionnalisme.